These are handcrafted in Portland (by my partner!) using exotic reclaimed woods. Each carefully crafted box holds 5x5 square prints (included), plus a USB of your high resolution digital files (also included). 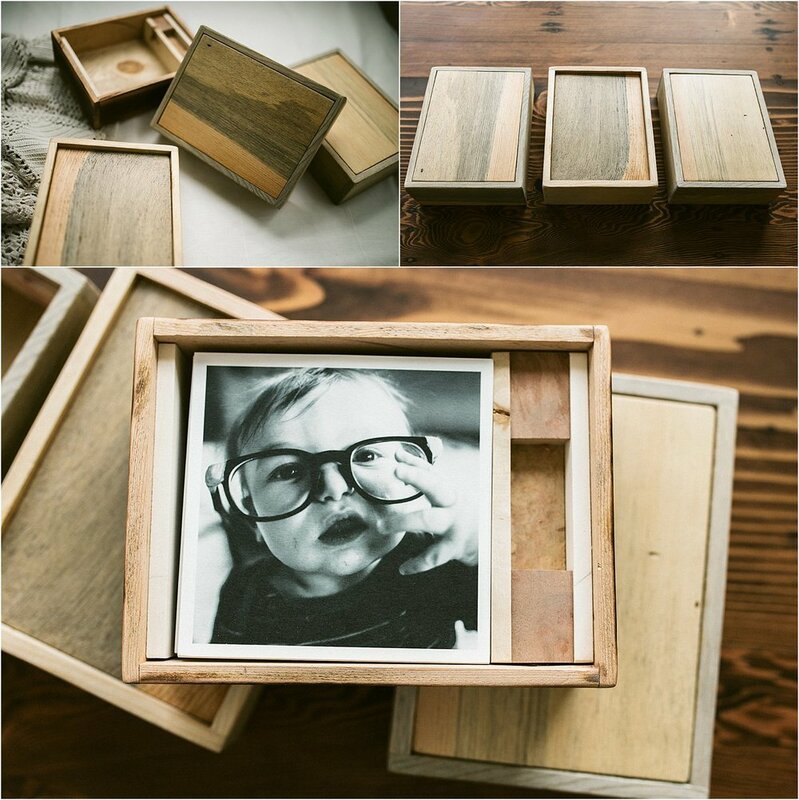 These boxes are so beautiful and the perfect keepsake for your important memories. Each box is custom made to order and can be made to fit alternative print sizes as well. There is nothing quite like your images in tangible form. I am a firm believer in printing your photos, and these photo books are a simple, beautiful way to share your special moments. Your images may seem beautiful on your screen, but seeing them in this book, artistically crafted to tell your unique story adds a whole new dimension. Plus it is fun for all to look at, and makes a thoughtful and easy gift that only gets more meaningful with time.